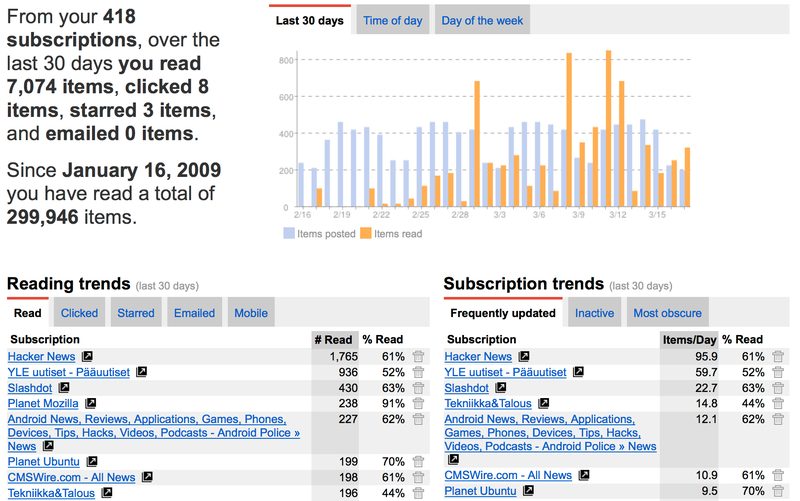 300,000 read articles later, Google Reader, rest in pieces. This entry was posted in html5 and tagged google reader, rss by Mikko Ohtamaa. Bookmark the permalink.